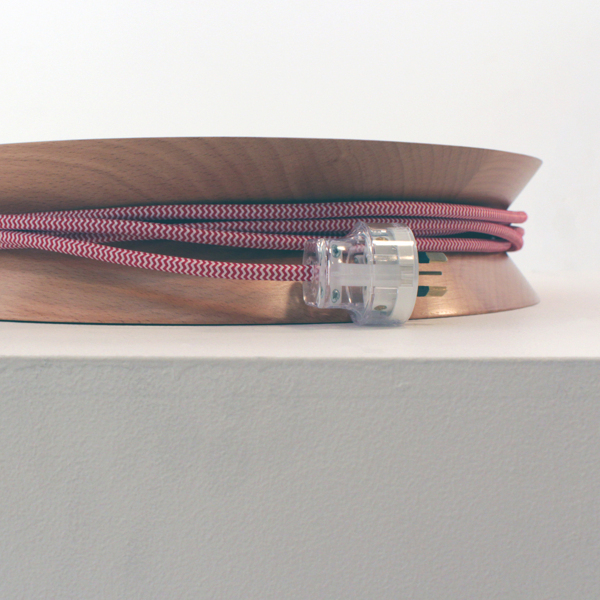 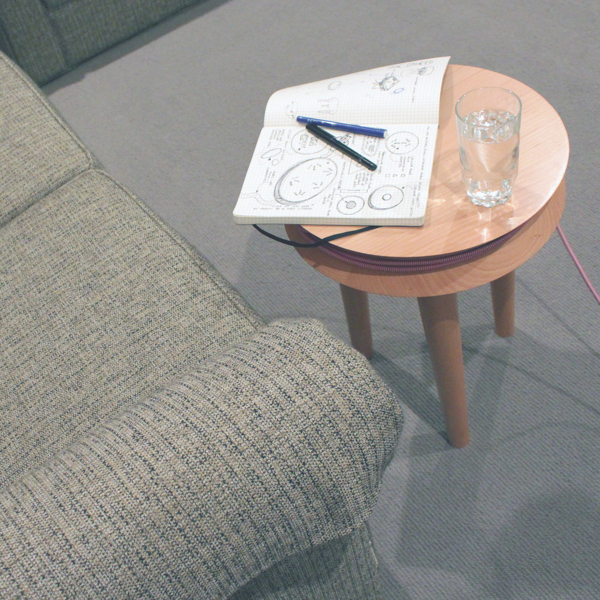 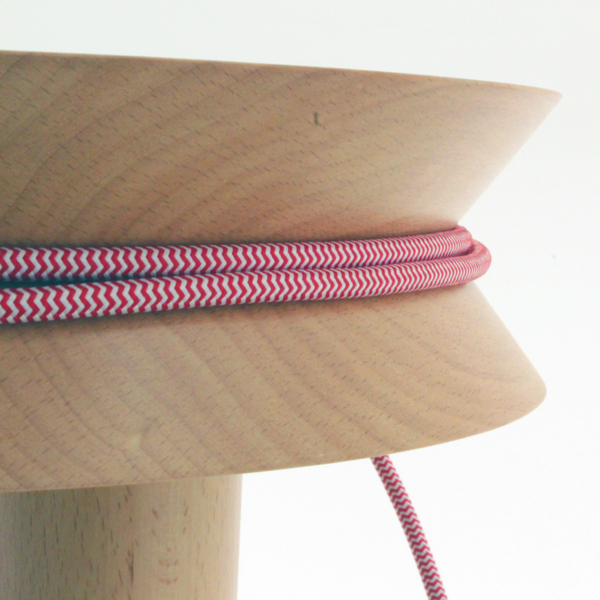 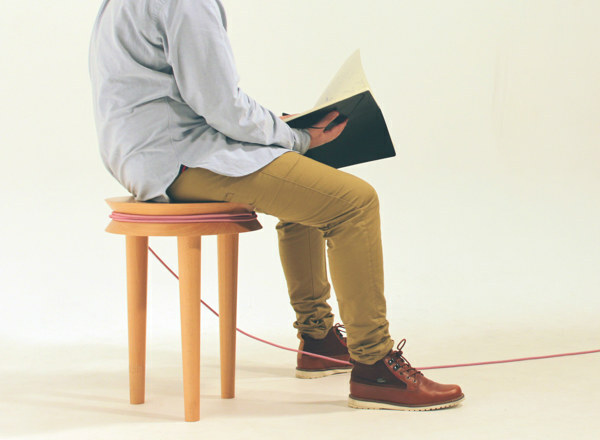 The SpoolStool is an ergonomically driven response to the common day extension cord, amalgamating function with comfort, designed by New Zealand based industrial designer Joe Levy. 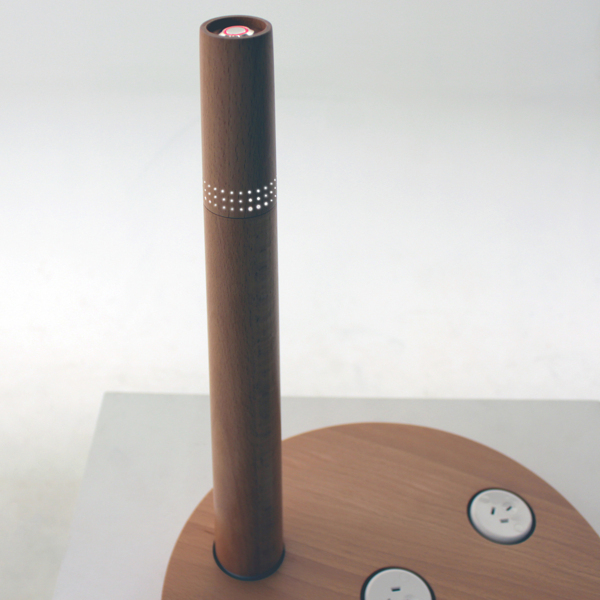 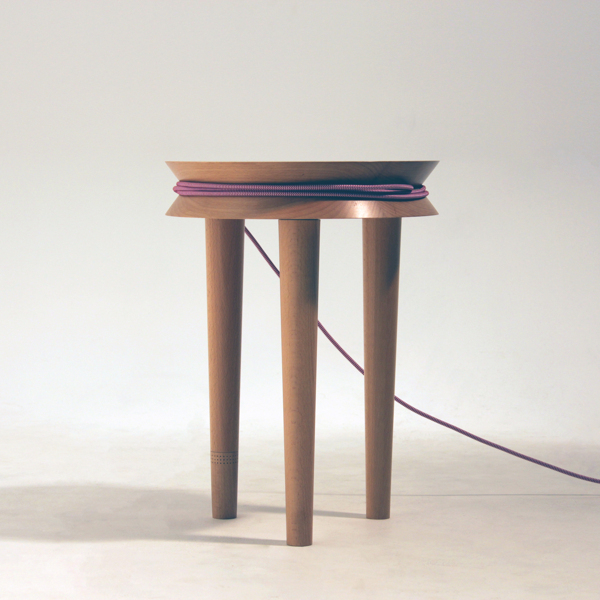 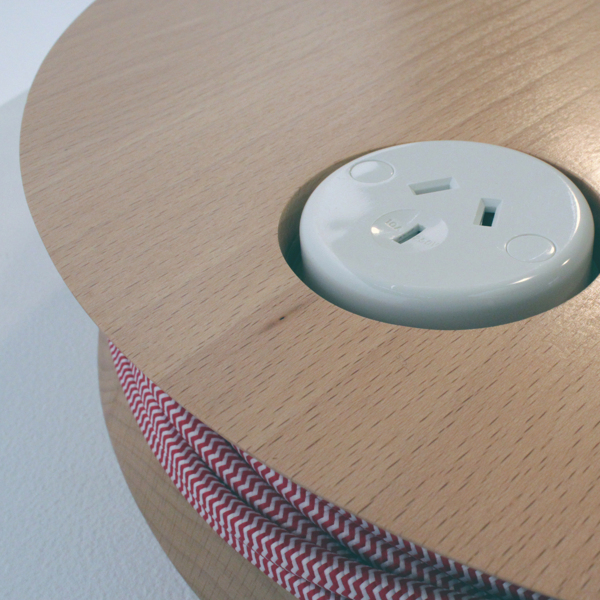 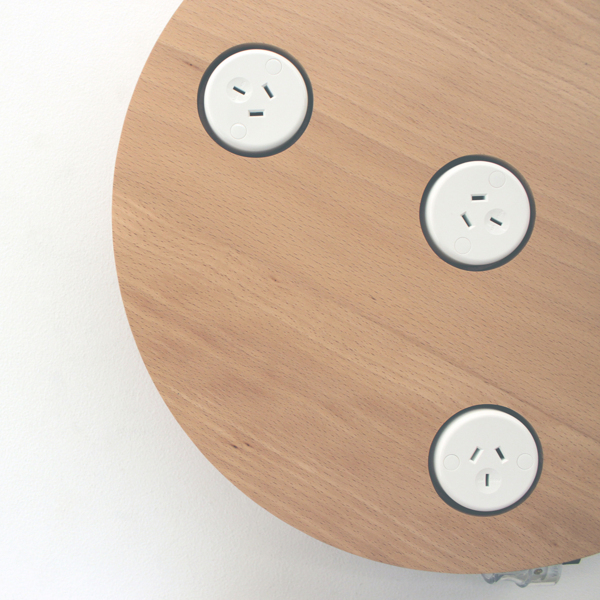 The SpoolStool offers a contemporary piece of furniture with an inbuilt extension cord to ergonomically plug-in those inseparable electronic devices. 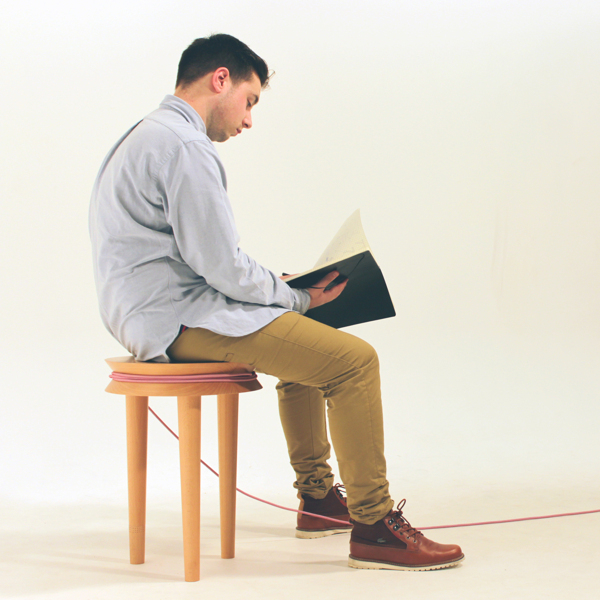 Whether used in a living or office space the SpoolStool can adapt to its users needs. 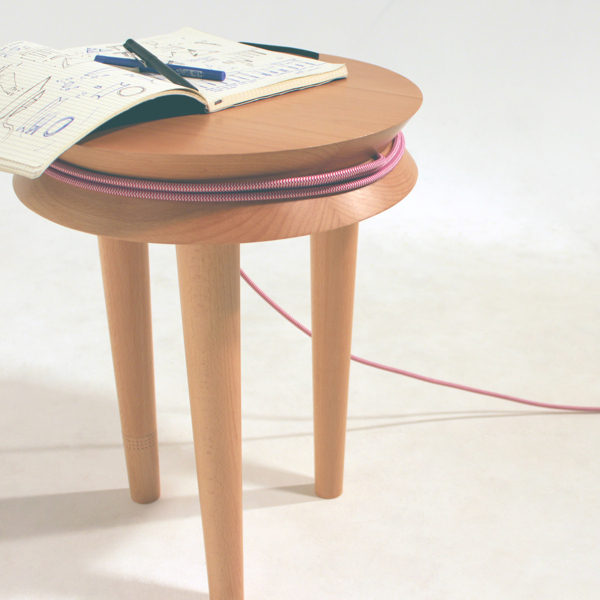 Plug the legs in to construct a stool or small workspace. 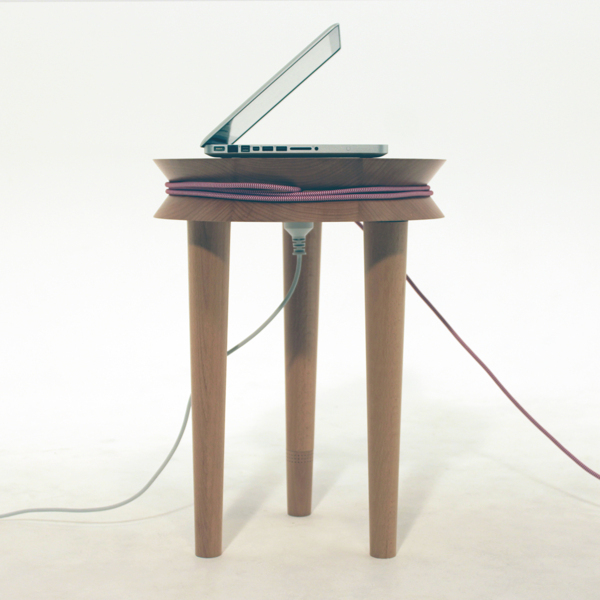 Unplug the legs and use the SpoolStool on your table or desk as a contemporary extension cord, and if light is needed, plug the LED-lit leg in.